Welcome to Hockey Day in Minnesota...in Wisconsin. Puck drop is just about 90 minutes away. Matt Jurusik leads the Badgers out for warmups. BTW, clarification on the OT goal review last night: Badgers used coach's challenge to check for offside, because why not at that point. Hello, #badgers fans. @E_Levy3 is writing tonight, so that means @B_Ehrlich11 will be working the tweeter machine. I hope you all enjoy. Teams are out for final warmups and the national anthem. #BorderBattle part two is just moments away. Late-arriving crowd (or just out in the hall watching hoops) at the Kohl Center but people are in the upper rows in the top level. Here we go. 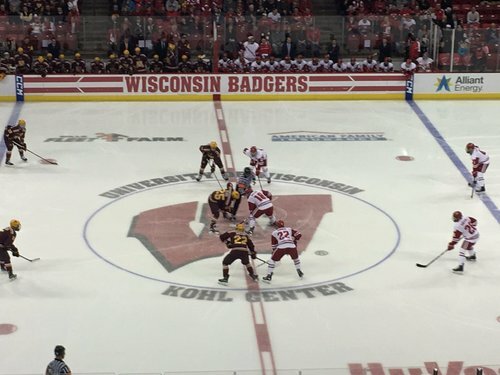 The puck has dropped at the Kohl. First ten minutes will be huge for UW. Have to avoid slow start. We are underway! 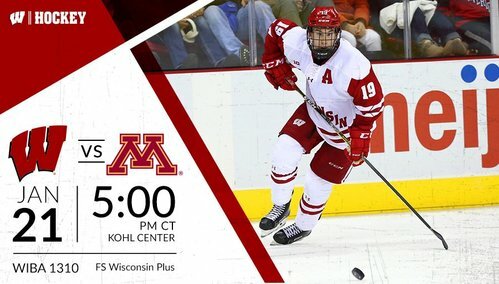 10-8-1 Badgers take on the 14-5-2 Gophers. Game 22: HEY. DROP. THE. PUCK. There are still a number of open seats, but this place is pretty full. Three minutes in and we have a shot on goal! 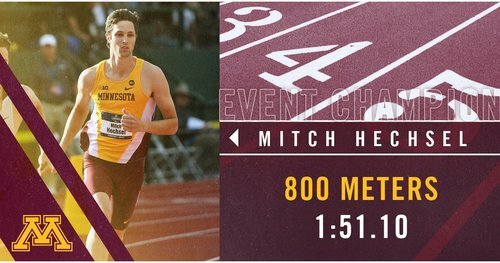 #Gophers get the first attempt of the night. Jurusik with an incredible sprawling save to keep a golden (gopher) opportunity out. Too many defensive zone turnovers early on here for #Badgers . 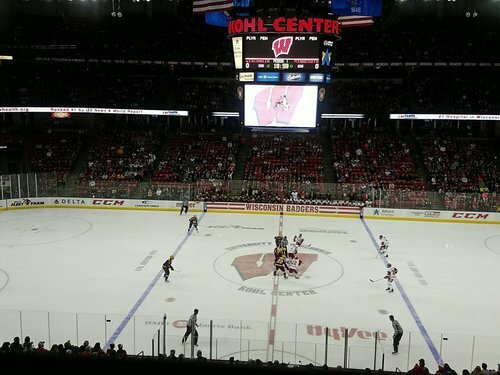 15:15 left in the first period, Badgers still looking for their first shot on goal. 13:23 left in the first and the #Gophers are heading to the PP. Cavallini is whistled for cross checking with 13:23 to go in the first. 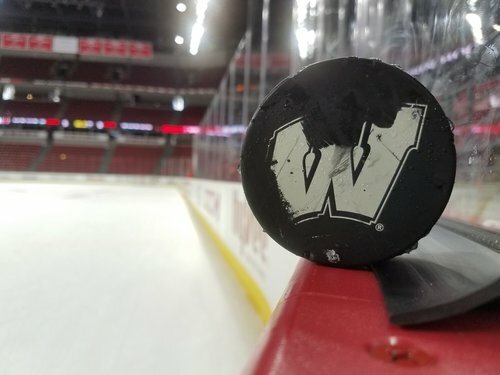 Badgers will send out the PK unit for the first time. Cavallini will go off for boarding and UW will go on the penalty kill here early. 13:23 left in first. UW's Cavallini is called for cross-checking, giving Minnesota its first power play with 13:23 left in the first. No score. Scratch that - cross checking penalty on Cavallini - whose name is fun to say. Jurusik stops Pitlick's one-timer from the right side. Jurusik with a nice smother on a one-timer. And Jurusik stops 2 shots by Lettieri. Confident start for the UW goaltender. Wisconsin does not have a shot on goal yet. 6-0 Minnesota shot advantage. Kill! Cavallini steps out of the box and teams are back to 5-on-5 hockey. Penalty killed off by UW. Badgers back to full strength. #Gophers outshooting the home team 6-1 after Wisconsin gets one on net after the penalty. Zimmer gets UW's first shot on goal 8:53 into the game. Schierhorn stops and holds. SOG 6-1 for Minnesota. 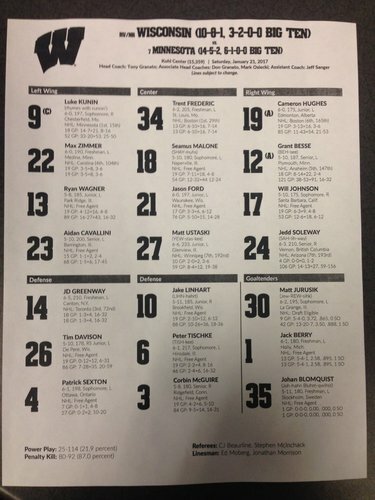 Frederic draws a holding minor and the Badgers will be on the power play for the first time. Still scoreless halfway through the frame. Wisconsin will go on the penalty. Captain Kloos (who had the game winner last night) heads to the sin bin.